New York - Donald Trump is facing his worst nightmare as a Harvard law professor said he expects the impending Russia report to be “devastating” for the US President. On Sunday, Alan Dershowitz told the US ABC that Robert Mueller’s report would “paint a picture that’s going to be politically very devastating”. Mr Trump has submitted his written answers to the investigation into alleged collusion between his 2016 presidential campaign and Russia — but he is doing his best to obstruct the probe. He said the special counsel’s report was unlikely to accuse Mr Trump of a crime, but the President could be vulnerable when it came to matters relating to his business affairs. Mr Trump is accused of appointing Acting Attorney-General Matthew Whitaker to kill off the Russia investigation, with Mr Whitaker known to oppose the probe. Democrats have filed a series of lawsuits seeking to overturn the appointment. 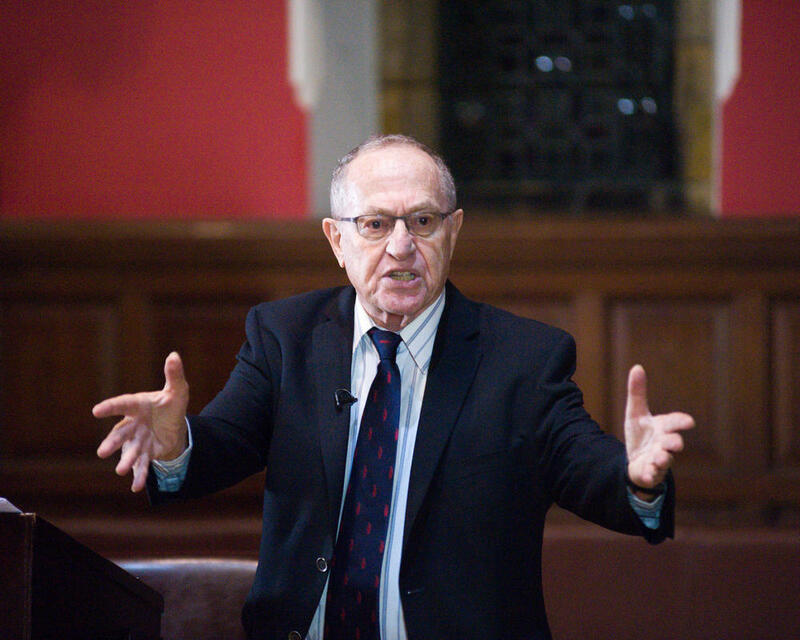 With all due respect, Mr. Dershowitz should know better than to be predicting gloom and doom. There’s a Higher Power running the show and nothing is beyond His capability. We’ve seen enough proof of that in the last couple of years in the political realm. Let’s keep our President in our prayers and let G-d run the world. Yes but he is being asked his opinion. He's not going to start reading Derech Hashem aloud on T.V. Please tell me if one Jewish life was saved in the US or in Israel due to Trump's bending over backwards to please megadonor Sheldon Adelson and moving the US Embassy. On the contrary Jews are less safe in America due to Trump's ignorance and the anti-semitic and anti-black home in which he was raised. Don't tell me his daughter and SIL are Jewish, as it is the "Some of my best friends are jews (or blacks or whatever) argument. Are jews safer because Pence brought a defrocked Jew-For-Jesus clergyman to Pittsburgh after the pogrom?